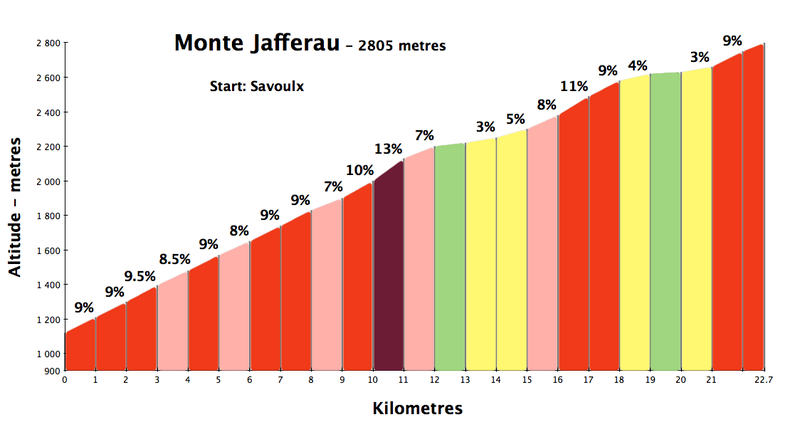 This is my second time cycling up Monte Jafferau, but this time I started in Savoulx, taking a hairpin-filled alternate route for the first 12 kilometres or so. I’ve marked both great rides on the map above. This ride (red route) is completely on unpaved gravel roads generally of good quality, although occasionally very bumpy/rocky. This requires a mountain bike. For details of my other Jafferau ride – including descending “over-the-top” – see here. The lower stretch is mostly a steady 9% or so winding up through the woods. This is the best surface of the ride. It’s superbly quiet, passing just a few old farm buildings, most of them long ruined. Slowly the woods start thinning. The steepest part of the ride – the one time I briefly walked – is just before the route joins my previous ride at roughly 2200 metres. The road then flattens out for a couple of fun ridge kilometres. There is a third way up from Salbertrand, but it has been closed for a few years due to a collapsed 900 metre tunnel. After passing the turn-off to the closed tunnel option, begins a great open stretch of road that winds up to Col Basset – 2596 metres. The next stretch is my favourite part of the ride, as the route takes a cliff road as it heads directly at Monte Jafferau. 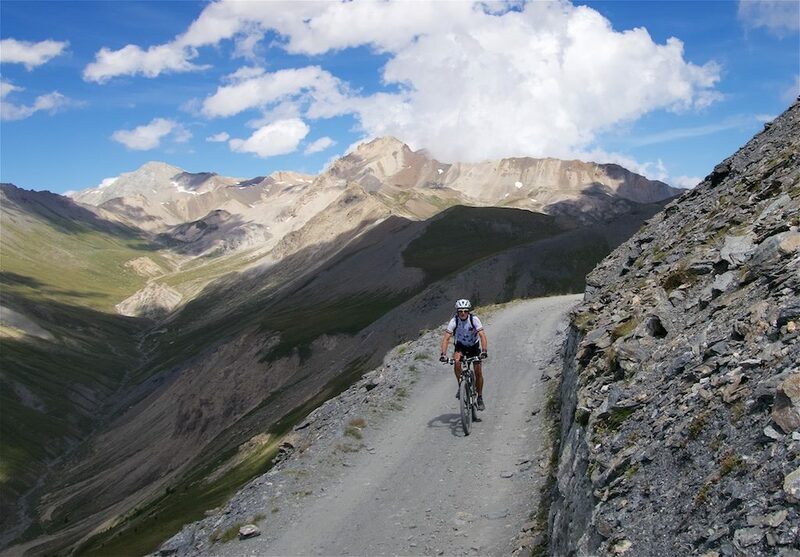 The final couple of kilometres to the fort at the summit of Monte Jafferau is a the worst surface of the ride. Hard jagged rock. Luckily not too steep. But the views at the summit are worth the effort. Truly fantastic. As I mentioned above, previously I descended the far side of the mountain. It’s basically a super steep, poorly surfaced, ski-lift service road. This time I decided I’d rather just double back. Far more scenic. Hi Will, do you know if it’s possible to ride down the back of the mountain from Monte Jafferau to Rochemolles or the lake above. Looking at making a route that takes in both Jafferau and Sommeiller. I believe it is possible but not easy. I have a book in German by Achim Zahn called Mountain Bike Trails. It’s basically a series of crazy super high routes. He climbs Jafferau as I did. Then — his map is very small — he basically does a right angle at the fort and descends NE down to what I think is called the Valfredda. From here he follows the valley down NW direction directly to Rochemolles. 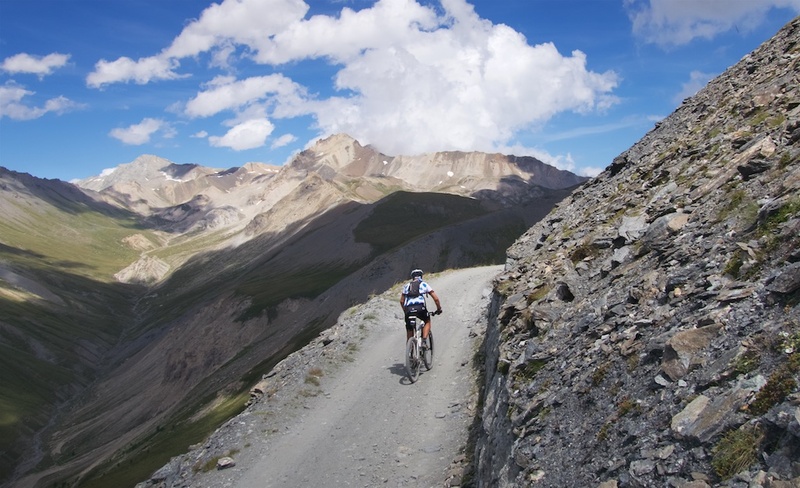 The tricky part is getting down initially into valfredda. His profile has it as yellow steepness – which for him is super steep but by no means impossible. From the valley – looking at a detailed map – there is a (gravel?) road that leads down to Rochemolles. Net, it’s definitely possible with a couple of steep, difficult kms, almost certainly need to hike, and perhaps not fully trailed getting off Jafferau. Alternately – less directly – look at my other Jafferau ride. I descended Jafferau down the ski slopes on a steep gravel service road. At the bottom of the skiing is a little ski station – stillquite high. 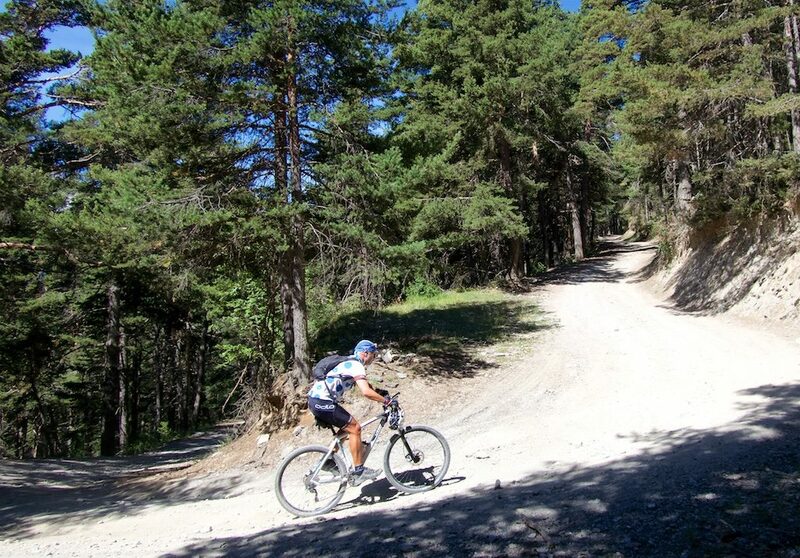 I descended to Bardonecchia, but there is a gravel road that here turns right and leads to Rochemolles. I think I see the steep route you mention on Strava, but I think I will keep it simple and take you’re advice and descend towards Bardonecchia. I’m planning on spending a few days in the wider area and riding some of the famous climbs like Finestre, Strada dell’Assietta, Agnello, Izoard etc. I’m thinking of basing myself in Susa or Briancon and using a car to help get around . Would you recommend either of these as a suitable base for riding and for my wife and 5 year old or would you stay somewhere else. Hi Pete, I am no expert but both Susa and Bardonnechia are “ok” to stay in. Not super-charming but more than fine. 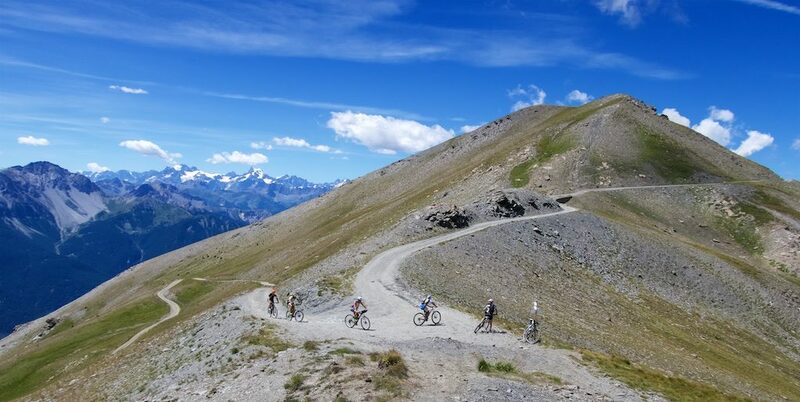 Other ideas might be to stay in one of the nearby ski stations like Montgenevre, Sestriere, or Sauze d’Oulx – the latter two are good launch towns for Strada dell’Assietta /Finestre. It depends what your wife enjoys, but personally I’d rather be in a ski station. 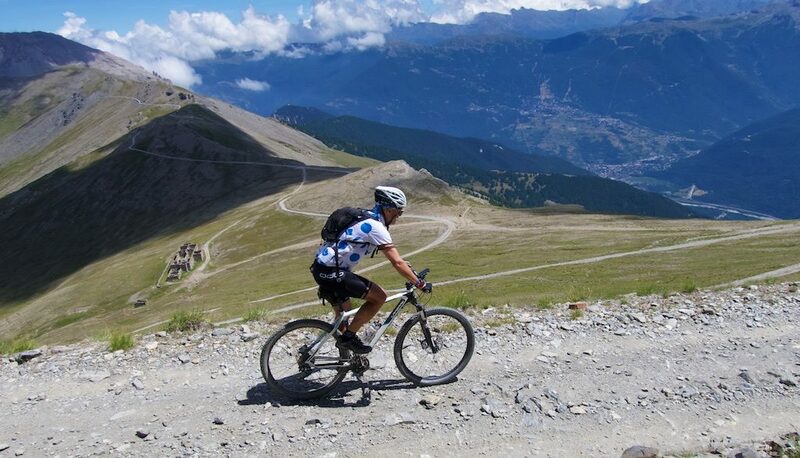 Maybe add Granon to list if in Briancon as well as search my ride to Col des Gondrans. Both great and start from Briancçon.